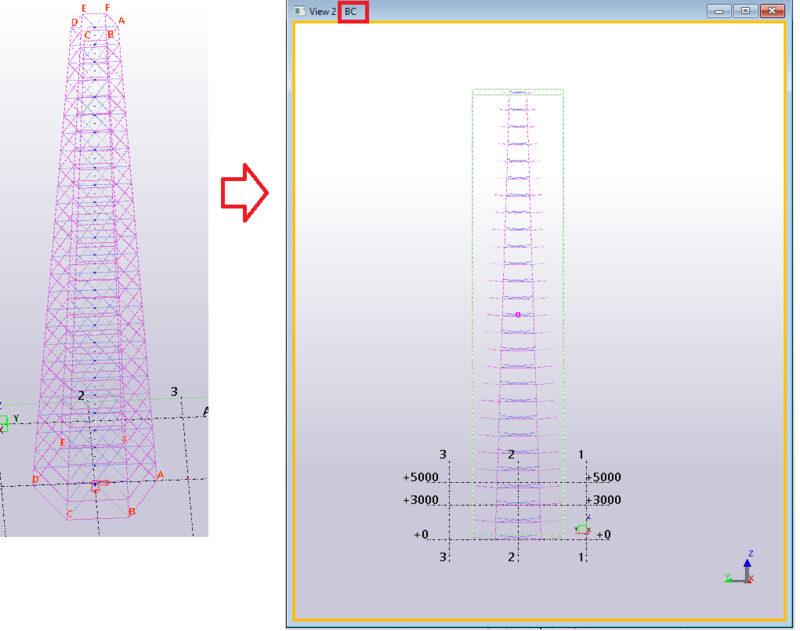 Hexagon Tower View Creator is an extension which create side views for 'Hexagon Tower Line'. As the views are created along the slope, it is easy for the user to work on specific side views created on slope if the hexagon tower line is tapered. Select Hexagon Tower Line for which the views are to be created. 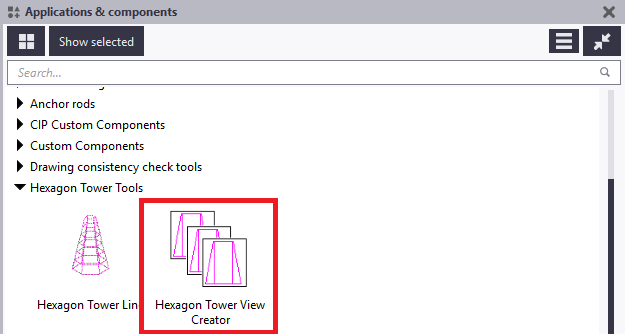 This should be done before running the Hexagon Tower View Creator extension. 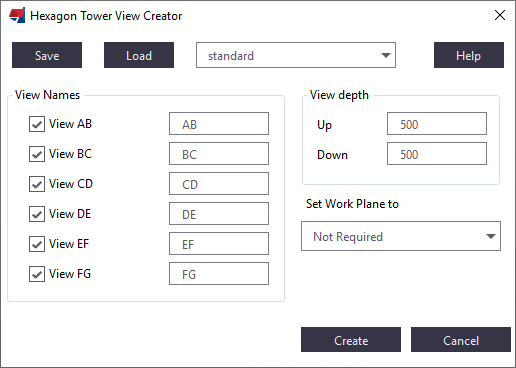 No need to select if their is only one Hexagon Tower Line in the model as that will be automatically considered as input for the Hexagon Tower View Creator. option, if you wish to set work plane to a particular view. Click on create button. 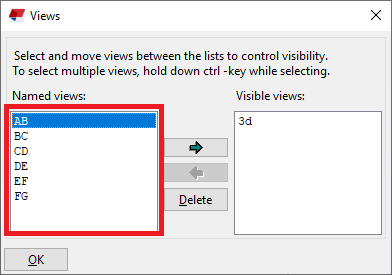 Tekla Structures creates four default views at the same time: front, top, end, and 3D views. Each default view can have its own view properties.